Ben Sherwood has 1 media appearance. 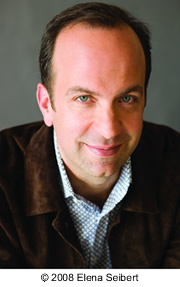 From 1997 to 2001, Sherwood served as senior broadcast producer and senior producer of NBC Nightly News with Tom Brokaw. From 1989 to 1993, he worked as a producer and associate producer at ABC News PrimeTime Live with Diane Sawyer and Sam Donaldson. Sherwood is the author of two critically acclaimed best-selling novels: The Man Who Ate the 747 and The Death and Life of Charlie St. Cloud. Both books were translated into more than 13 languages and are in development as feature films. The Man Who Ate the 747 is also being developed as a Broadway musical. Sherwood’s new book, The Survivors Club, is a non-fiction exploration of the science and secrets of who bounces back from everyday adversity and who doesn’t; who beats life-threatening disease and who succumbs; and who triumphs after economic hardship and who surrenders. In January 2009, Sherwood founded TheSurvivorsClub.org, an online resource center and support network for people surviving and thriving in the face of all kinds of adversity. A graduate of Harvard College and a Rhodes Scholar, Sherwood earned masters degrees in history and development economics at Oxford University. He lives in Los Angeles with his wife Karen Kehela Sherwood and their son Will. Ben Sherwood's book The Survivors Club was available from LibraryThing Early Reviewers. Ben Sherwood is currently considered a "single author." If one or more works are by a distinct, homonymous authors, go ahead and split the author. Ben Sherwood is composed of 6 names. You can examine and separate out names.